With a degree in graphic design and a raging coffee addiction, Rebekah rides a motorcycle called Fat Betty, owns two dogs who don’t get walked enough, and can never seem to find a blue pen when she wants one. She’s a dedicated movie gal, with a special affection for old sci-fi and action movies. 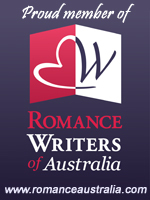 Rebekah enjoys reading and writing fantasy for all ages, and was selected in the 2010 Queensland Writers Centre/Hachette Manuscript Development Program. She is the author of the Chronicles of Applecross books (Chaos Born, Chaos Bound and Chaos Broken) and forthcoming urban fantasy Bite Deep (Escape Publishing) and Threader (Harlequin Teen).